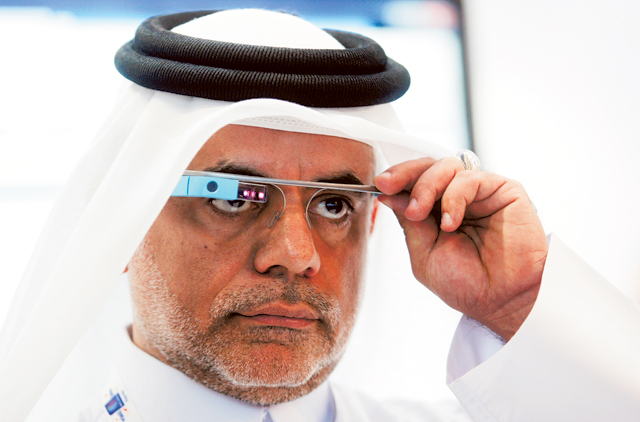 Dubai: The travel and tourism industry has joined the Google Glass technology revolution. The world’s first hotel booking app for the wearable technology, launched by online travel agency Destinia.com, was showcased in Dubai on Wednesday at Arabian Travel Market. The “Hotel Near Me” app enables Glass users to find nearby hotels based on their GPS location and filter results based on cost, star-rating and proximity among other factors. The optimal head-mounted display (OHMD) technology works through user voice commands and trigger sentences like “OK Glass, find me a hotel” and “place to stay”. Travellers using the app will have access to information on over 230,000 hotels across the world. Talking to Gulf News on the sidelines of the Destinia.com app preview – the first time the technology has been seen in the Middle East – Ian Webber, Development Director at Madrid-based Destinia.com, said a mobile app will follow shortly, but getting the Google Glass app spot-on is the priority. “We’re now developing the mobile app for android and apple, which will be more commercially-minded. 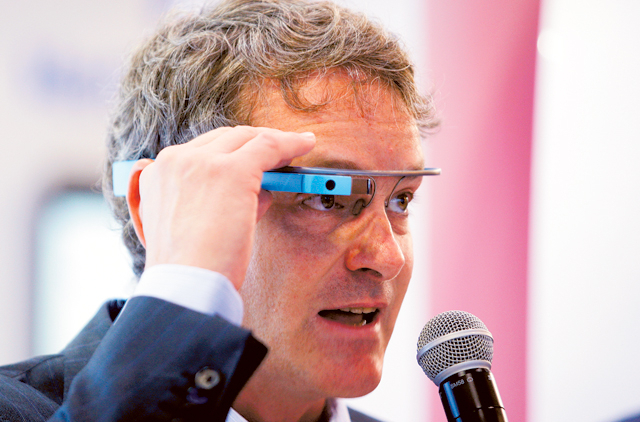 Not many people have Google Glass at the moment, but it’s going to be much more important for the future. You will be able to stand anywhere in the world and say “find me a hotel” and the technology will do exactly that. “And we’re just beta testing now, but so far it’s working pretty well and we think we’re close to the final product,” he said. More bells and whistles are expected. Upon completion it will be available in 25 languages including Arabic, Mandarin, Japanese as well as a range of European languages. The smartphone version of the app will be released in “a couple of months,” Webber says. Google Glass is currently only available as part of Google’s Explorer program for a whopping $1,500 (Dh5,505), which an estimated 10,000 people have bought into. The final product available for public purchase will be significantly less, according to Google. The wearable technology is the centre of a debate about banning certain technologies in public places because it blurs the line between privacy and lawful technology use.